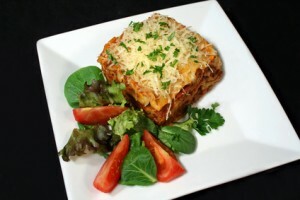 Eggplant Lasagna With Ricotta/parmesan Cheese recipe by maham at DesiRecipes.com. teaspoon each salt and pepper. charred and tender, 3 to 4 minutes per side.